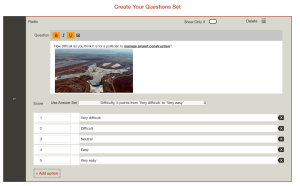 You can add bold, underline, italics and images in your data collection questions. Use the appropriate We’re finding the ideal image size is 300×200. That size will work across all device sizes and orientations nicely. Does ProofPilot Support Matrix Question Types? Why not? What is a validated measurement? Can I edit a study template to tailor it for my study?